The English and Creative Writing Department is proud to sponsor the Visiting Writers’ Reading Series, which brings emerging and established authors to campus. Previous speakers have included Jamaal May, Marcus Wicker, Cathy Day, Jacinda Townsend, and many others. All events are free and open to the public. If you are attending as part of a group, please contact the reading series director, Dr. Callista Buchen. We are happy to reserve seats for groups. October 4, 2018, 7 p.m., Richardson Chapel: Dr. Emily Wilson. Dr. Wilson is a Professor in the Department of Classical Studies and Chair of the Program in Comparative Literature and Literary Theory at the University of Pennsylvania. Her books include The Death of Socrates, 2007, and a new translation of selected tragedies by Seneca, 2010. She is the Classics editor of the Norton Anthology of Western Literature, 2013, and the revised Norton Anthology of World Literature, forthcoming later this year. 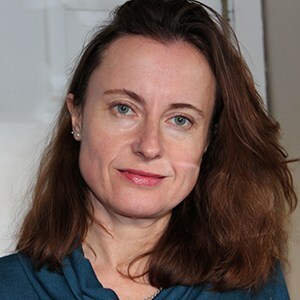 She published The Greatest Empire: A life of Seneca, in 2014, and four translations of plays by Euripides in the Modern Library The Greek Plays (2016). Her verse translation of the Odyssey was published in November 2017. Terrance Hayes is the author of six books of poetry; American Sonnets for My Past and Future Assassins (2018); How to Be Drawn (2015), long-listed for the 2015 National Book Award in Poetry; Lighthead (2010), winner of the 2010 National Book Award in Poetry; Wind in a Box, winner of a Pushcart Prize; Hip Logic, winner of the National Poetry Series, a finalist for the Los Angeles Times Book Award, and runner-up for the James Laughlin Award from the Academy of American Poets; and Muscular Music, winner of both the Whiting Writers Award and the Kate Tufts Discovery Award. He is also the author of the short story collection To Float In The Space Between: Drawings and Essays in Conversation with Etheridge Knight (2018). He has been a recipient of many other honors and awards, including a 2014 MacArthur Foundation Genius Award, two Pushcart selections, eight Best American Poetry selections, and fellowships from the National Endowment for the Arts Fellowship and the Guggenheim Foundation.